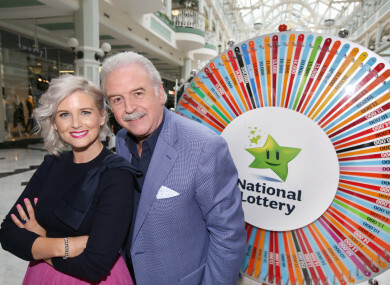 A FORMER NATIONAL Lottery employee has been selected to appear on this weekend’s edition of Winning Streak on RTÉ. Margaret Flynn worked “manys a weekend” on the show while an employee of the National Lottery, and is looking forward to being on the other side of camera this Saturday. Flynn had worked for the National Lottery since it was founded in 1987, but retired in 2014. She is originally from Castleisland in Kerry, but is now living in Kimmage in Dublin. She had been given three scratchcards from her brother for her birthday two weeks ago, and got three stars on all of them. Once she posted them she said she “just knew” she’d be on the show. Flynn hopes to win enough money to retire “Molly”, her ’98 Nissan Micra. Joining her on Saturday will be Teresa McCrory from Omagh, Gerry Devins from Tara, Lucy Nolan from Arklow, and Murt Hunt from Ballyhaunis. Email “Woman who worked for National Lottery for 27 years to appear on Winning Streak this week”. Feedback on “Woman who worked for National Lottery for 27 years to appear on Winning Streak this week”.